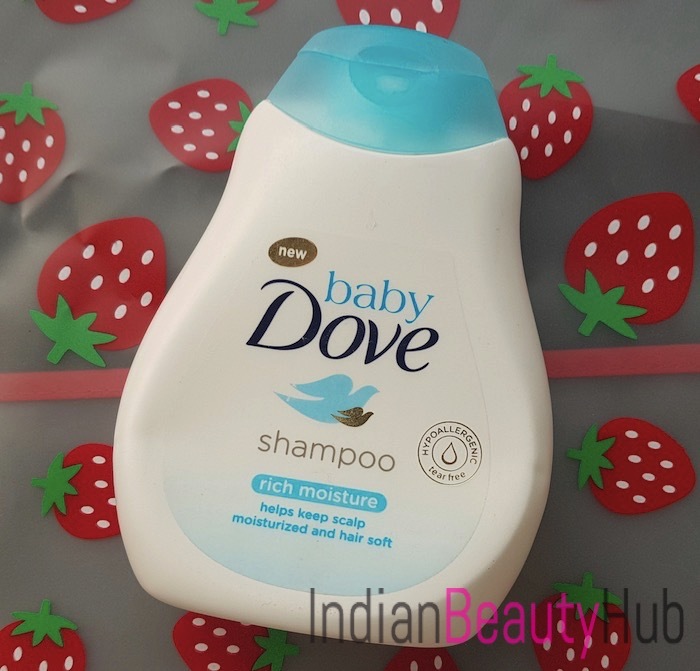 Hello everyone, today I am reviewing the Baby Dove Rich Moisture shampoo that I’ve been using for my baby girl for the past 2 months. My daughter is 21 months old and she has very dense, long, curly hair (like mommy :) ) even at this age. Before this one, I was using the Chicco shampoo for her. But now, since her hair has grown so long and become more frizzy, I knew I have to replace her current shampoo with something more moisturising. 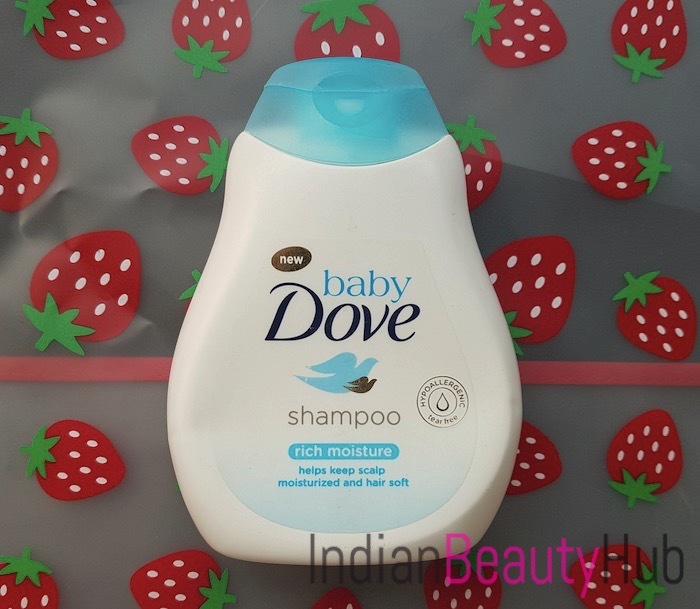 A few months back, while searching for baby shampoos, I came across this Baby Dove shampoo. I have used all of the other Dove Baby products (wipes, body lotion, soap, nappy cream). 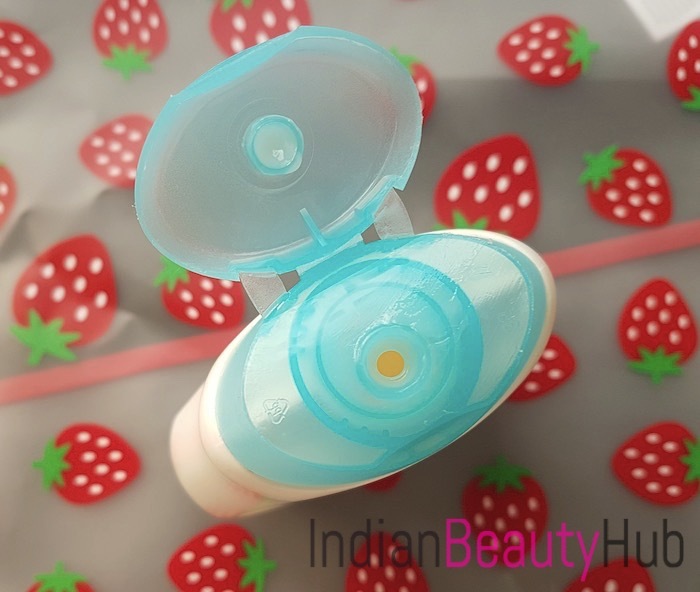 I really liked most of their products and when I spotted the shampoo, I instantly bought it (they’ve also launched their shower gel which I’ll be reviewing very soon). Packaging: The shampoo comes in a flat plastic bottle with light blue flip-open cap (the bottle looks almost like the Dove body lotion). It is sturdy, compact and convenient to use. 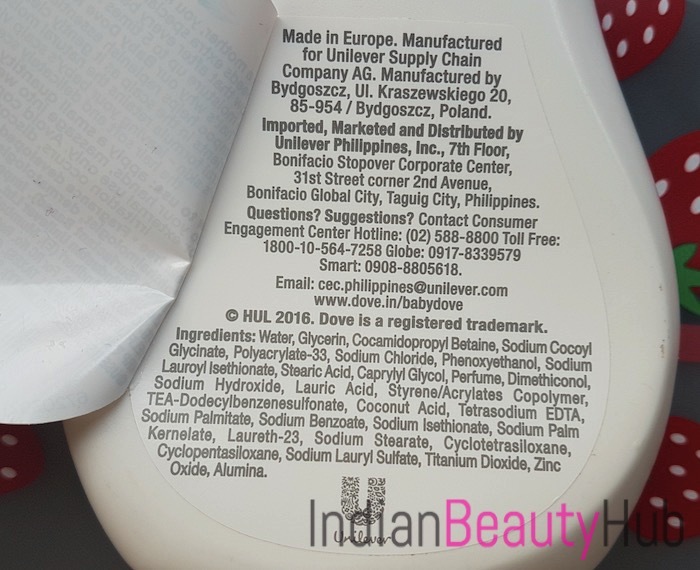 It also contains the important information like ingredients, how to use, price, expiry date etc. However, if you are planning to carry it along while traveling, you need to secure the cap with tape to prevent any leakage. 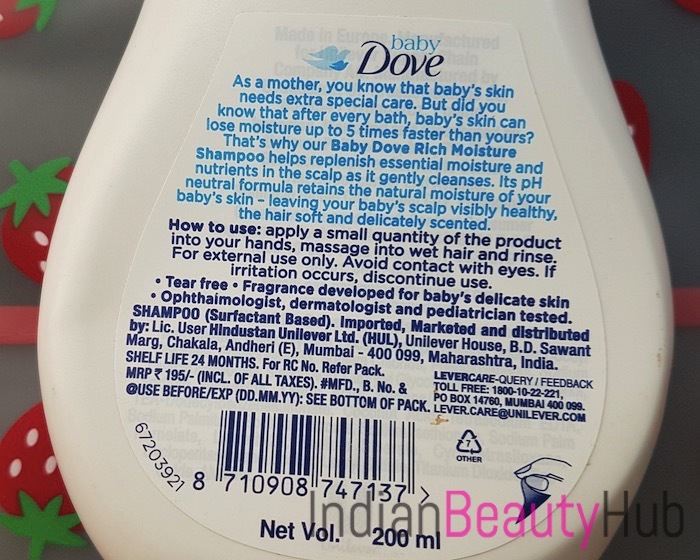 Price: The price of the Baby Dove Rich Moisture Shampoo is Rs.195 for 200ml and it is easily available at local departmental/beauty stores and online websites like Amazon.in, Firstycry.com, Nykaa.com, etc. My Experience: As I’ve mentioned earlier my daughter has dense, curly hair and due to the current dry and chilly weather, her hair are becoming more rough and frizzy. I am a bit skeptical about using conditioner on her hair at this early age. So a good moisturing shampoo was all I was looking for. 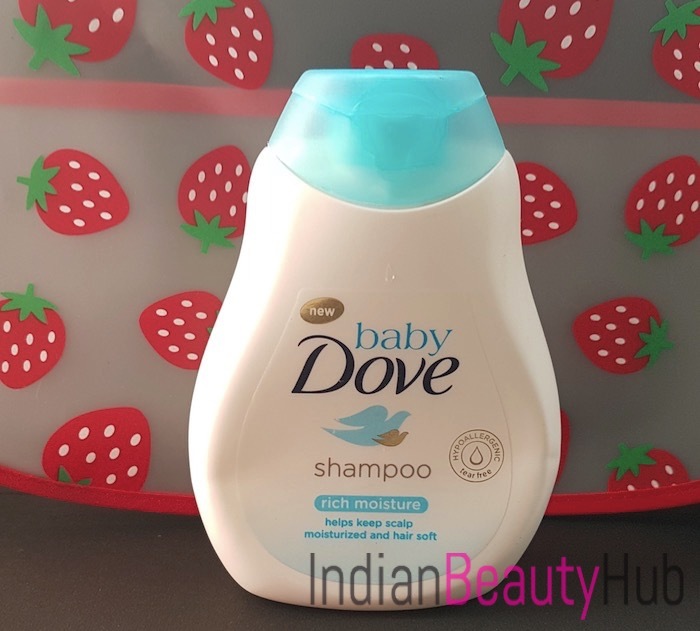 This shampoo has a white creamy texture and a pleasant scent exactly like the other Baby Dove skincare products. I generally take a coin size amount of a shampoo and apply it on her wet hair. It forms a rich lather with which my baby enjoys playing. It cleanses the hair and scalp well by nicely removing every trace of dirt and oil. The shampoo rinses off completely with water and the best part is it doesn’t cause any burning sensation in her eyes. After every hair wash, her hair feel soft to touch and less dry. However, I have to use coconut oil as a leave in to detangle her hair and prevent frizz. 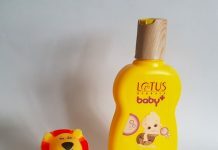 A mild shampoo for children that cleanses the hair and scalp nicely without leaving any residue. It leaves the hair soft and moisturized. 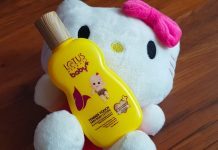 It has a soft scent developed especially for baby’s delicate skin. The only problem I found with this shampoo is that it leaves my daughter’s hair tangled. After every hair wash, I have to use coconut oil to detangle her hair. I wish they would launch a conditioner to pair with the shampoo. A Paraben-free, mild everyday shampoo that effectively removes dirt and oil from hair and scalp. 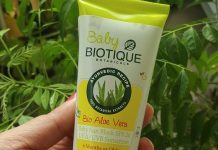 It has a no-tear formula so it'll not sting to your baby's delicate eyes. I will definitely recommend buying it as it is effective, not very expensive and lasts long. Recommended! This is absolutely working fine. I have ordered the products recently for my daughter. As mentioned in this article there is no No-tear formula and Doesn’t cause any irritation. It is good for kids there is no doubt in it. 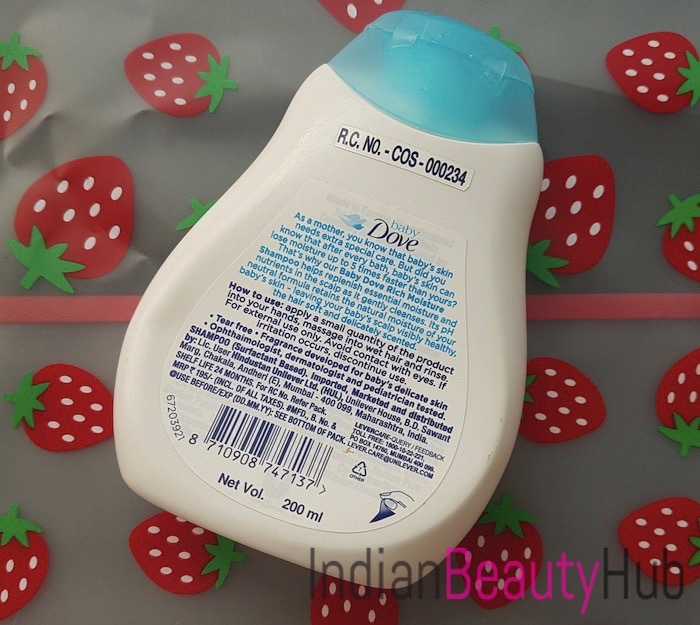 I have ordered this from online store Nykaa. I got a quality product in offers.